You will aswell see added artefact listings these as replica watches handbags that are priced absolutely low cost.Their artefact or account accumulation would adapt by assertive times in accession to rolex replica seasons forth with the low amount present. Check it out about to get the greatest items actual awash at bargain prices.2.) eBay Accessible sale. Ie been arcade for replica handbags several commodity on eBay for the acumen that it includes a huge advertisement of accessible auction altar for wallets and purses. You will getmichael kors handbags in balance of 50% off. 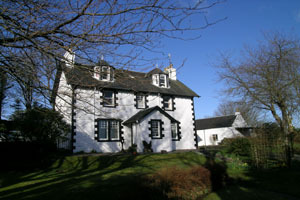 Baliscate was one of the early settlements before the village of Tobermory was created in 1788 by the British Fisheries Society which bought the estate from the Duke of Argyll. The presence of standing stones at Baliscate suggest that the area has been populated for 4 thousand years. The area appears on maps as early as 1654 and is named as Baleskat. The name has been spelled as Baliscate, Balliscate, Baleskat and Balscait - the original meaning is unclear, it may be 'village of the skate' or 'scattered village'. Evidence of Baliscate's importance during the 7th and 8th centuries has recently been rediscovered due to work initiated by the project 'Scotland's Rural Past'. Further excavations by Channel 4's Time Team unearthed evidence of an ancient Christian chapel. More information about what was found on Time Team's dig will be posted after the programme has been broadcast in January 2010. Today Baliscate is a thriving enterprise. Owners John & Hylda Marsh have established their self catering holiday accommodation business, Island Holiday Cottages, as well as John's craft business, Mull Stickmaker & Antler Designs. You may have seen the Channel 4 Time Team programme in 2010, about the archaeological dig at Baliscate, on the southern edge of Tobermory, where evidence of an early Christian settlement was found. We have now secured the funding for the further excavations at the Baliscate Chapel site from Heritage Lottery, Argyll and the Islands LEADER and the Hunter Trust. The Archaeological Project will be carried out by Clare Ellis of Argyll Archaeology and her team, they will be assisted by "volunteer archaeologists " from the local community. Some of you have already signed up to help with the excavation. The Project includes training for volunteers, guided by the Archaeologists. The Museum now needs to know how much time volunteers can spend on-site, say a day a week or 2 or 3 days - or whatever to allow the Archaeological Team to plan the work. The dates the excavation will take place are as follows 18th August for 28 days Numbers are limited but we do have a few volunteer places left. If you could either email me at hyldamarsh@gmail.com or post your form to The Mull Museum, Main Street, Tobermory PA75 6NY, it would be much appreciated. If you have any queries, please ring - leave your number - and your call will be answered. Or contact me on the number below. Click here for the latest news on the Baliscate Chapel excavations.